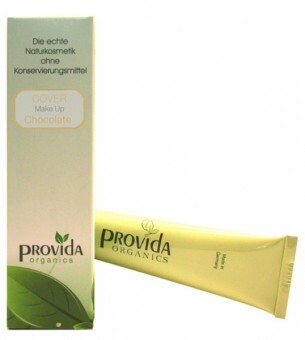 The Cover Make-Up guarantees perfect covering of blemishes or imperfections. It gives the skin a fresh. radiant, even finish and is caring and long lasting. 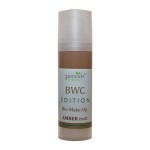 The cover-makeup is available in three different colors. Cream, naturell and chocolate. Ingredients INCI: Aqua, CI 77891, Butyrospermum parkii butter *, Simmondsia chinensis seed oil *, Helianthus annus seed oil *, CI 77491, Glycerin *, Prunus amygdalus dulcis oil *, Sodium cetearyl sulfate, cetearyl alcohol, CI 77499, cetyl palmitate, Alcohol *, Styrax tonkinensis resin extract, sorbitol, tocopherol, Ascorbic acid, xanthan gum, citric acid.